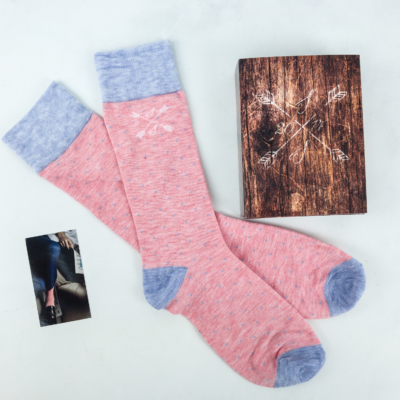 It also includes a little card with the picture of this month’s featured socks. 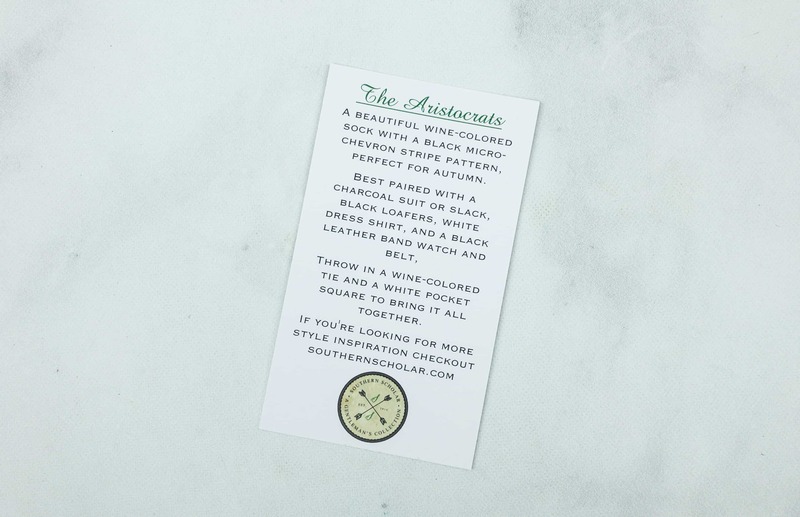 The back of the card contains some styling tips that are incredibly helpful! They give concrete examples of which color schemes will work best with your new socks. Their tips tend to call for some pretty specific accessories, such as a wine-colored tie. Great if you have it, but the socks will look good even if they are the only splash of color in an otherwise drab ensemble. The Aristocrats. 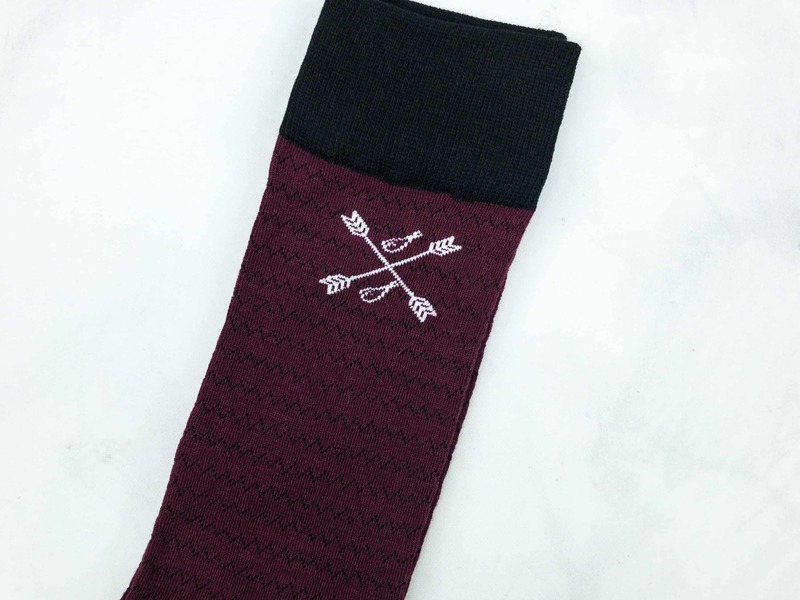 This pair of socks from Southern Scholar is wine-colored, with a black micro-chevron stripe pattern. This pair was made using a 200 Needle Count Knitting Machine. 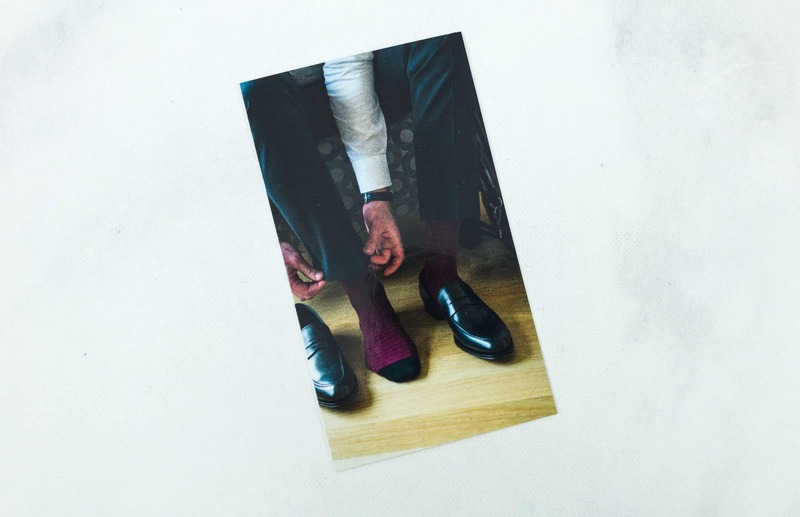 The information card further states that the socks are made up of polyester, viscose, as well as nylon-spandex for maximum comfort. They also give some laundering advice to help extend the life of your socks. The fabric blend is incredibly soft and provides a comfortable fit. I find that they stay up well with cutting into my calf. It also features reinforced heels, toes, and hems to ensure solid grip and to keep your socks in place all the time. The Southern Scholar emblem appears on one side of each sock, so you can wear it on either the exterior or interior of your legs. According to Southern Scholar, it’ll look great with a charcoal suit, black loafers, white dress shirt, and a black leather band watch and belt. 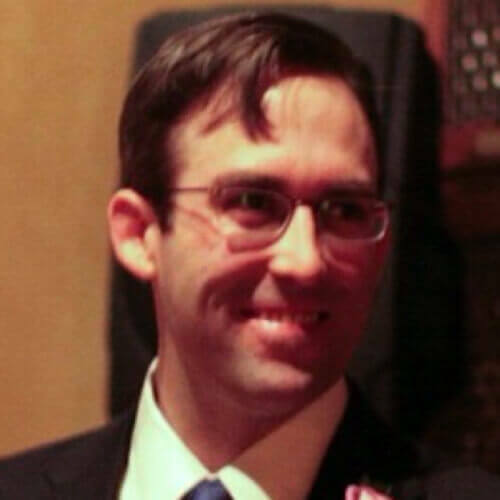 I’ll have to see if I have a wine-colored tie to complete the look. 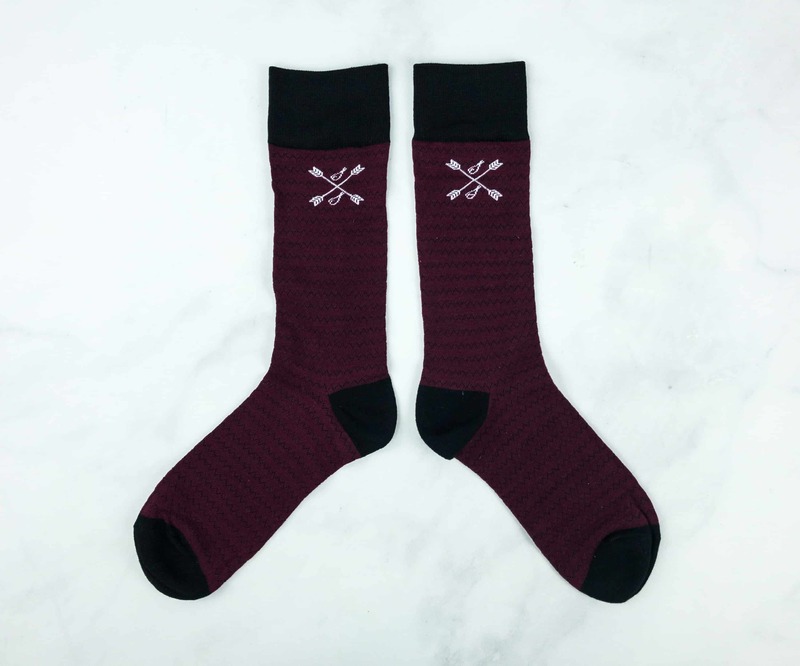 It’s the perfect pair of socks to wear for autumn! These are also good for formal or somber occasions, as the color isn’t flashy or distracting. Southern Scholar has always been consistent in giving us superior-quality socks. 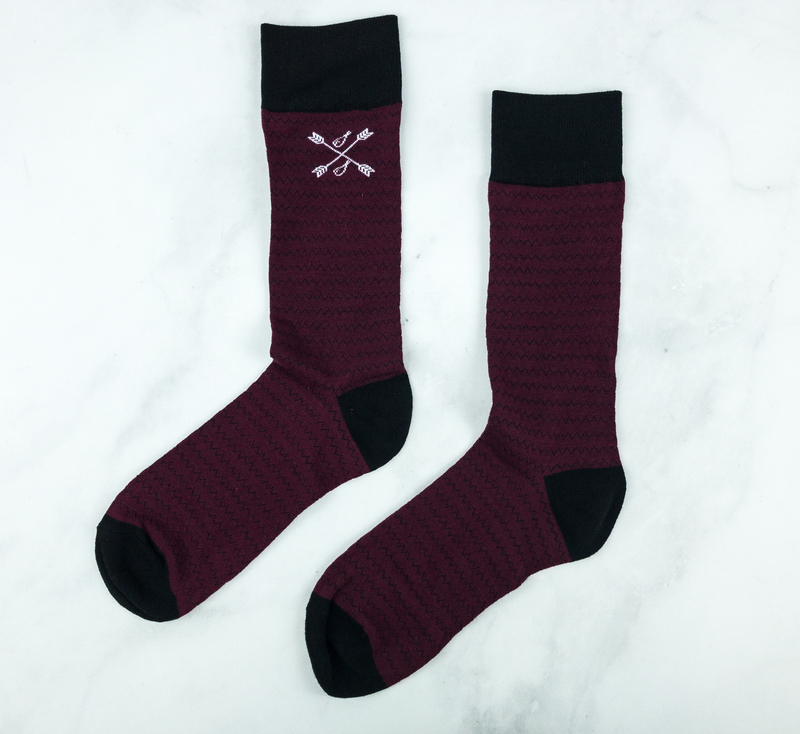 This month’s featured socks look so cool and definitely a great choice for the season. 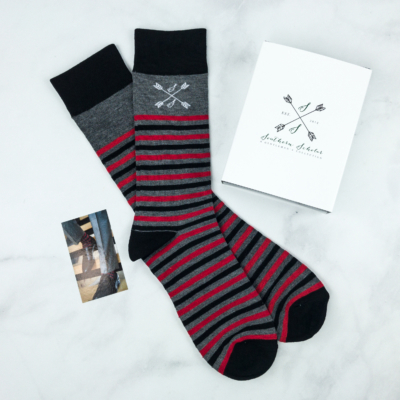 These socks are really useful for any man who dresses up regularly, or for someone who just wants a fresh pair sent to their door every month!